Dr. Turnage is a board certified-orthopaedic surgeon and sports medicine specialist who has practiced in Pensacola since 1992. He has been on both sides of sports medicine ? as an athlete and as a physician. Dr. Turnage was a Scholarship Division I athlete at the University of Georgia for four years ... Read More ? competing on two SEC championship teams and participating in two NCAA Final Four appearances. This plus many years as a treating physician gives Dr. Turnage special insight into all aspects sports medicine. 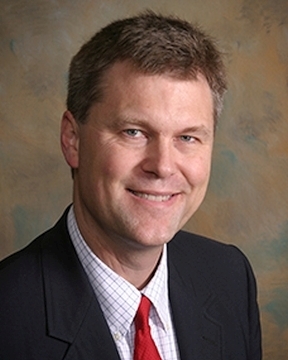 Dr. Turnage received his medical degree at the Medical College of Georgia in Augusta, Ga. and completed his internship and residency in orthopedic surgery at Atlanta Medical Center in Atlanta, Ga. Dr. Turnage is double Board-Certified. He is Board-Certified in Orthopaedic Surgery. He is also subspecialty Board-Certified in Orthopaedic Sports Medicine. Dr. Turnage greatly enjoys spending time with his family, his four grown children and his wife, Elizabeth. When not practicing medicine, Dr. Turnage enjoys playing guitar, reading, hunting, and scuba diving. Dr. Turnage also serves on the Board of Directors of a Christian Missionary organization with works in Asia, Europe, Africa, South America, and the United States. He is also an accomplished photographer.